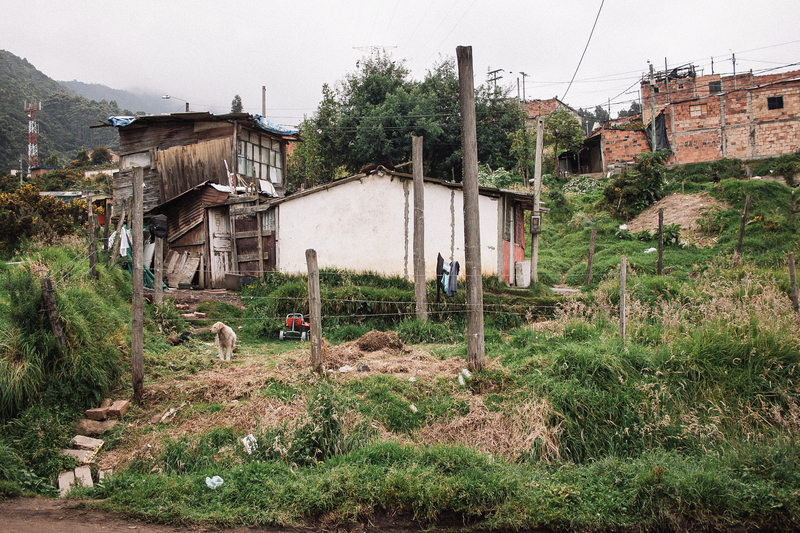 La Cecilia in Bogotá is unknown to many—even to the taxi drivers who brag about knowing the city like the back of their hand, dangerous for others, and a special place for more than one of its inhabitants. The ongoing debate about this particular city sector is whether it should be formally recognized or whether it is a takeover. It’s there, in the southeastern valleys of the capital, that Francelías Lancheros Parra—their community representative—lives. He battles with government entities with the idea of being the “kind neighbors of the forest” that surrounds the city. It is quite a challenge. He walks uphill towards the local store to buy chicken and vegetables for the following day’s lunch. Being a popular individual, he stops and listens to his neighbor’s complaints; if a tree has been destroyed, if animals run through the streets. There are many things to do other than sleep. Some know him as Francelías; others have no idea of who bears that name. “Who’s that?” asks an old woman timidly. “Oh, the President! I did not know Francelías was his name. They always call him President!” the woman reflects as she turns around and keeps going. He is 45 years old, a tireless man, passionate and dedicated to accomplishing what he puts his mind to, and always acting legally, since he loves the law. 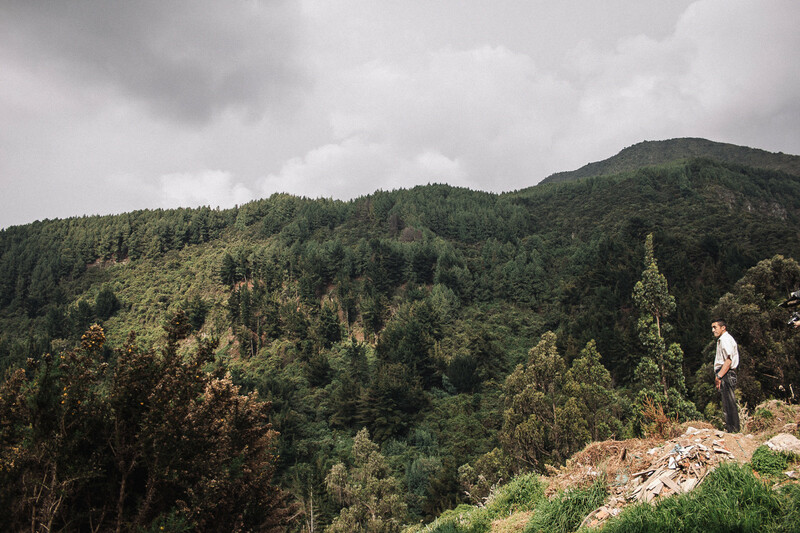 A Boyacá native, he left his farming life so he could start a more promising one in the country’s capital. The project was born out of necessity. Many families can’t even contribute one dollar per month. He remembers his childhood with obvious joy, but he does not miss those days, because he looks around now filled with the security of being happy and privileged. He is proud to be where he is and of what he has built as a man, husband, father and public figure—just the way he visualized himself when he was a child, imitating political speeches on the radio. Francelías left school after his first encounter with money when he was 14 years old, earning pennies for digging in the emerald mines. Then he became a soldier in the Ejército Nacional (the National Army) and decided to write a new story for himself at the age of 20. This time, the tale takes place in Bogotá. His partner in life and adventure is Luz Dari, his wife and the mother of his two daughters, Angie and Paula. However, Francelías admitted that another woman touched his heart before, when his younger self still lived at home with his family in the countryside. On his left arm he still keeps evidence of that memory, when his younger self pinched his skin, writing the letter L, for Ligia, inside a heart and just below a cross with a needle and Chinese ink in hand. Later on, his tattoo would have a new owner—Luz. “I adapted it,” says Francelías, smiling. “I’ll be right back, honey,” Luz Dari lets him know as she closes the door. “That’s fine, my love,” he answers. “She doesn’t know the full story – of my tattoo,” he explains, and bursts into laughter. 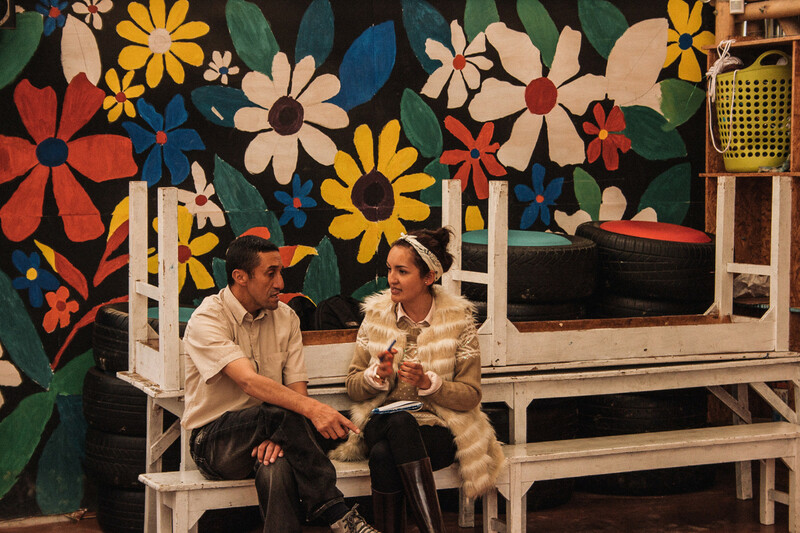 Apart from being husband and wife, Francelías and Luz Dari have been a team in overcoming adversaries since they met. 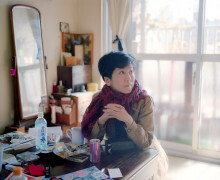 They started out selling beauty products from catalogs, and later garbage bags, door to door. Now, they are security guards. Together, they have placed every brick in their home. The residents are proud of their home. 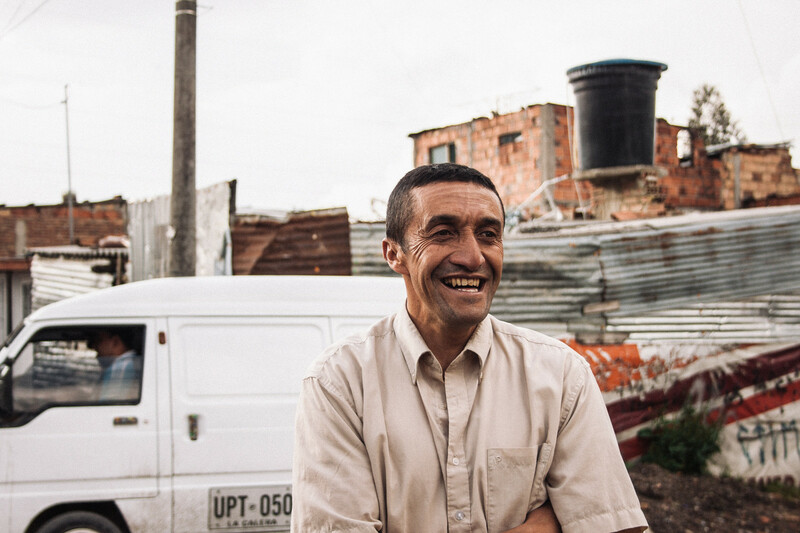 Together with them, Francelías works on preserving the surrounding forest. 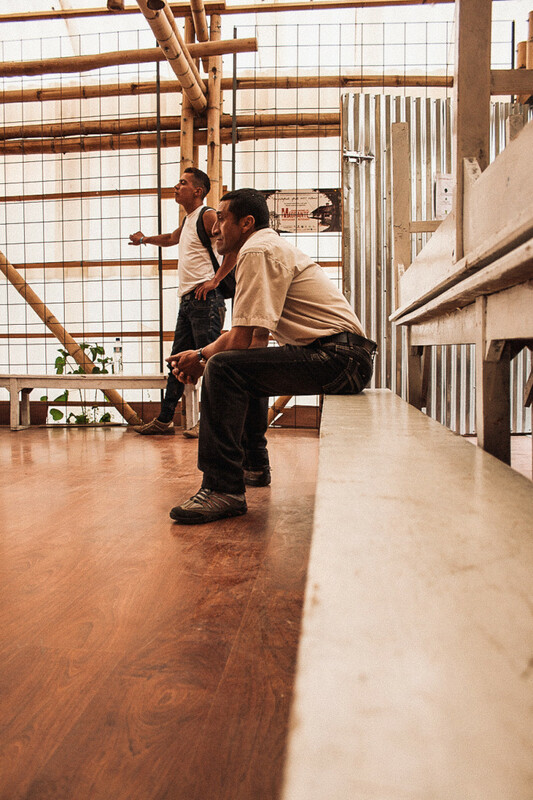 “He has a strong character of his own,” says Luz, adding that waking up early is normal in their home, even on weekends, when she sorts out the rooms and they have breakfast—but not without having taken their daily shower. “There are many things to do other than sleep. Our daughters must learn to use their time wisely,” says Francelías, as he pours two black coffees. As they regularly do, the couple heads up to the terrace and have their “love drink.” “You have to drink it quickly, since it gets cold really quickly,” he says, as he contemplates the mountains in front of him. God’s existence in this neighborhood is doubted; a few believe that he is there with them, but others think he is absent. Plus, time seems to have no rush. In La Cecilia, life, and also breathing, is different. The conversation is interrupted by the noise of a bell from the gas cylinder distributor. Luz Dari makes a signal to the driver, letting him know that she needs one of those, because they still don’t have that service in their sector and must pay the equivalent of $23 US a month, when it should be no higher than $3 US. Even though the community leader seemingly lives in peace, there is a burning subject that worries him: his community’s future, its legality, and the formal construction of his borough. There is a constant threat that it could be declared illegitimate since it’s located closely to a water reserve, protected by the Secretaría Distrital del Medio Ambiente (District Secretary of Environment). Why did you build a house in a nature reserve protected by the district government? When I bought the lot, it was sold with certificates of Liberty and Tradition. The property was legal, it still is. I didn’t want to live here because of the rain, but my wife liked the place, therefore I didn’t hesitate to invest all my savings. I bought tools and started putting bricks together, building up walls. I was still learning. Today, I’ve built three houses: my own, my neighbor’s and my mother-in law’s. This house looks nothing like it did in the beginning. I built it and re-built it. The windows were made of boards, there was no floor and it only had one room. When did you become the borough’s spokesman—the President? People started recognizing me after I managed a potable water project for the families in the district. My neighbor suggested that I run for president and I was elected for the position. This is your second term in charge. Would you like to continue? I am a bit tired, to be honest. This is a tough job, and on top of that, there is no funding for anything, not even transportation. Each family is supposed to contribute with a minimum amount, less than one dollar every month, but not even that can be done. As a community leader, what is the most important construction you’ve led? The building of La Casa de la Lluvia de Ideas. Tell me about that project. How did it come about? La Casa de la Lluvia de Ideas was born out of necessity. We, the members of the borough, needed a meeting space so we could discuss important subjects in the community such as public services, rubbish, delinquency and so on. However, this idea took a 180° turn. I started looking on the internet for construction material that would be kind on the environment, then found sponsors who would donate the raw material and we took care of the manpower. Other than meetings, what kind of activities take place inside? 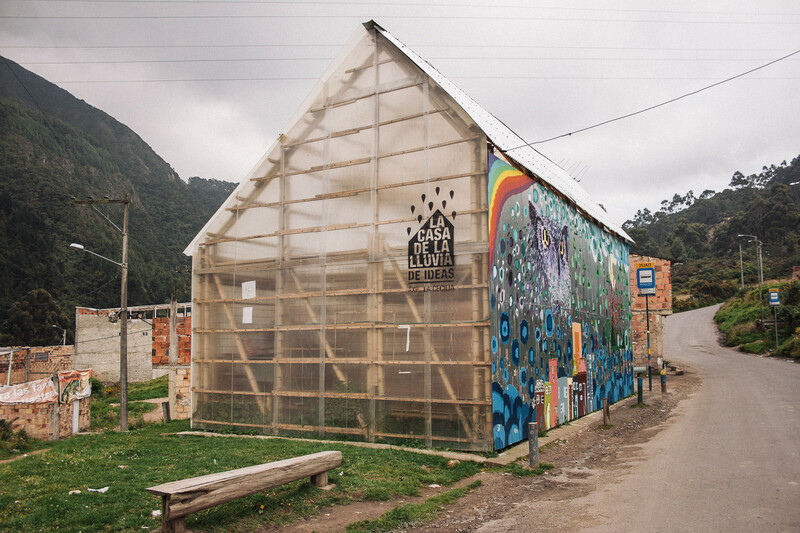 La Casa de la Lluvia de Ideas has its doors open for anyone who requires use of space, but above all, it’s for cultural and educational purposes. 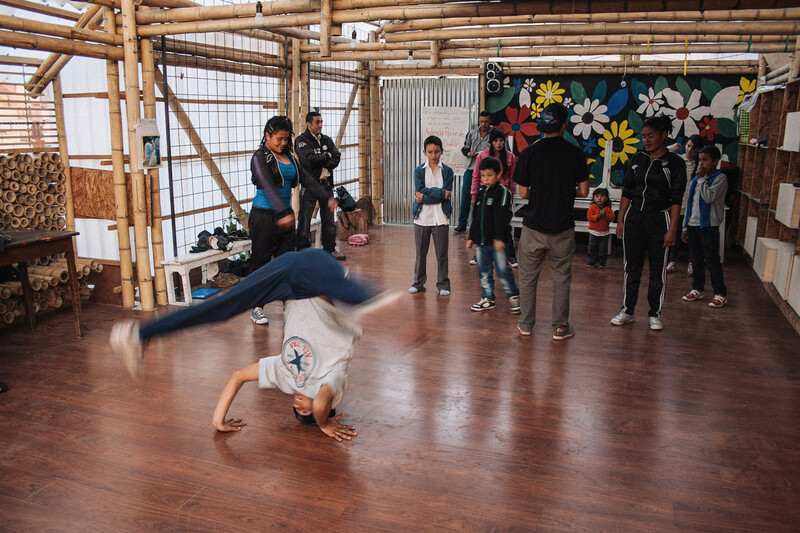 For example, on Tuesdays and Thursdays, youngsters come and practice breakdancing—that’s a good thing. They call it “The House of Dreams.” Anyone can stop by and discuss their ideas. On Tuesdays and Thursdays, youngsters come and practice breakdancing. Are your daughters taking part? My younger daughter went to practice once, but she’s a bit of a rebel so I didn’t allow her to return. Plus, I am scared that she will try drugs, because even though most of the members of the group are healthy boys, that means that the rest are users. Why is it called La Casa de la Lluvia de Ideas (The House that Rains Ideas)? “The House” —because it is a house; “that Rains” because it always rains here; and “of Ideas” because it was everyone’s idea. What was the most difficult component of the construction process? People would get very tired. We would dedicate our non-working days and our family weekends to working here without any economic compensation. But it was a wonderful experience, and on the opening day, we had a barbecue and drank a few beers. I see myself as a lawyer. I want to study criminal law so I can defend people who don’t have the means to do so. 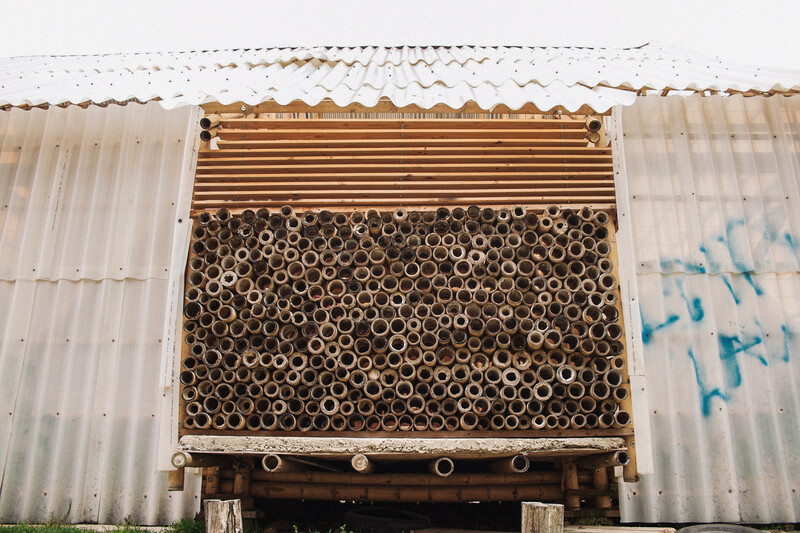 Thank you, Francelías, for this glimpse into the vibrant life of your community. We wish you all the best with your endeavors and are grateful that you welcomed us to Colombia for our first story in the nation!